This 2018 Keystone Cougar 27SAB Travel Trailer includes: Decor - Twig, Campin in Style Package, 1/2 Ton TT Anniversary Package, 1/2 Ton TT Comfort Package, Polar Package, Automatic Leveling System, Slide Awning, 50 AMP Service/Wire and Brace for 2nd AC, 2nd 13.5 AC Unit, and Interior and Exterior Storage. 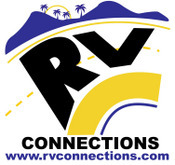 RV Connections was founded in 2000 by industry veteran Jack, Kay and Neal Stewart. In November of 2016, they expanded there location to 13 acres, which includes our new Parts and Accessories Store and Service Center. Though our dealership has grown rapidly in the past 16 years, our goal is still the same - 100% customer satisfaction. We know it is our customers that make us a success, and we promise to deliver the best possible service you'll find in the RV business today - before and after the sale. We pride ourselves in our unparalleled customer service. Our knowledgeable, friendly sales staff is always here to assist you, and our factory-trained service technicians will deliver the most dependable service in the industry. We carry a large selection of America's leading brands of fifth wheels, motor homes, and travel trailers. With our unbeatable prices and extensive inventory, you're sure to find an RV to meet your needs and your budget. Come and visit us and see why we are Northwest Florida's largest fifth-wheel dealership! We look forward to meeting you! If you have any questions, please don't hesitate to contact us!